being little • bristol uk fashion & lifestyle blog. : not the way i do love you. Not feeling very confident today, so excuse my face/pose etc. 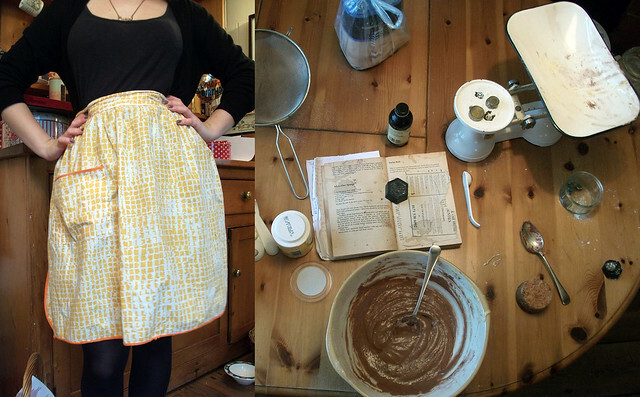 Today I've baked pretty much aaaaallll day. I wore the vintage pinny that Kayley got me for Christmas, which didn't really go with my outfit, but it sure brightened up such a rainy day. 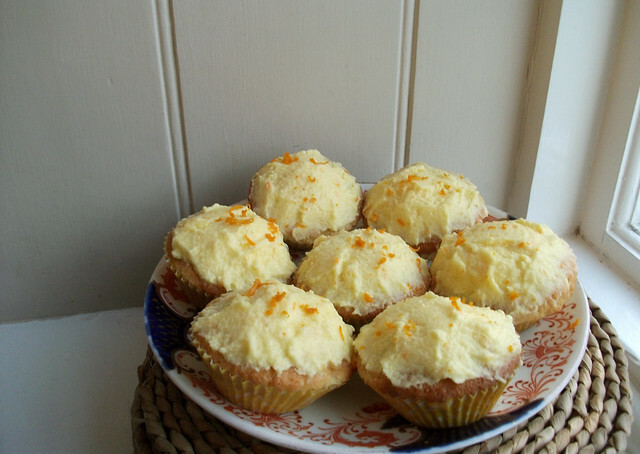 I made plain and chocolate cupcakes with orange curd centres and orange icing. Yummers! 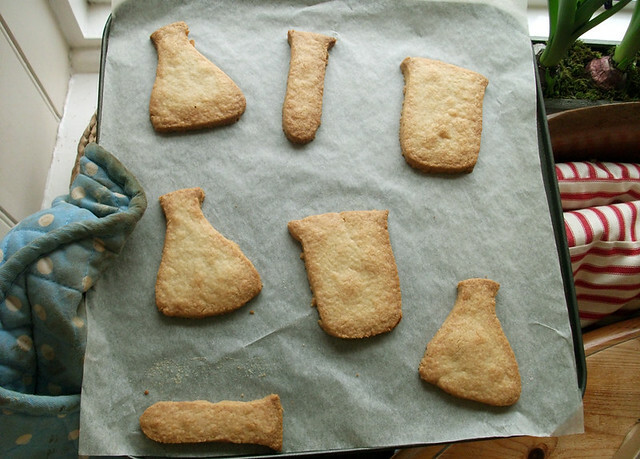 I also made some science biscuits as inspired by this picture. My brother is a science teacher and is having his 25th birthday do tomorrow. I thought these would be rather suitable. I am yet to decorate them, and I'm a bit worried about it as I'm pretty messy... they're definitely not going to turn out as cute as the originals. 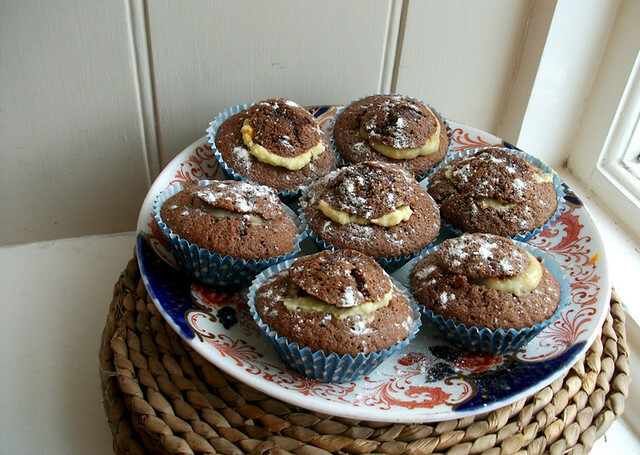 Also, along the lines of baking etc, I think you should all go visit my friend Mel's blog. 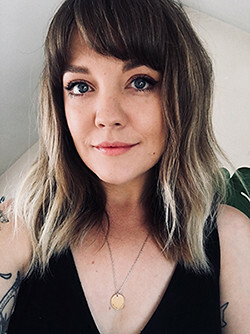 She's super, bakes yummy stuff AND she's funny. What more do you want? Go now. Finally, I saw this video on someone's blog this morning (I've forgotten who's... I'm so sorry!) and fell in love. It's just so adorable. sorry you aren't feeling good but you look so cute!love your outfit! what a great skirt too. your cupcakes look oh so yummy. that edward sharp song is one of my favorites, my sister in law went and saw them a few months ago and said they were fantastic! They all look yummy; I love cupcakes so much! awwwww hun I really hope you feel better soon, it's a horrible feeling isn't it? I really hope you feel better soon, I definitely think the time of year has something to do with it, everything's so bleak after Christmas people tend to treat you with less kindness than you deserve. I hope that you are feeling more confident soon. Hey, baking is fun at least, and science cookies? Even more fun. ohhhh yumm. You make me want to bake. I love your pinny! The biscuits are such a cute idea! How did you cut them? They look SO yummy. Arg I need to go and eat some cakes NOW!!! and the cupcakes looks really yummy! I love your skirt and belt - they're super cute. And yummmm all those treats look delicious and that's such a lovely idea for your brother! i'm sure i've said it (several times) before but you are so pretty! also i totally fell for that video and can't get over the little girl. i swear that that is the cutest video i've ever seen. besides kittens. i freakin' love kittens. you, dear lyzi, look gorgeous as usual. don't stress! i have non confident days so a day of baking is ideal, your very pretty...!! You look so great! I love your hair really! You are so pretty! And you look like Lily Allen! Cute outfit, missy. I want a skirt that shape. Those biscuits are too adorbs for words! And the cupcakes look delish. My cupcakes have been going horrid and rubbery since I've been using an electric whisk so I'm going to go back to doing it all with a wooden spoon. Time consuming but worth it. Plus it's a good work out! i like this outfit a lot, it goes so well with your hairdo! those cakes look delicious! I'm having a baking day tomorrow and I can't wait. Orange and chocolate cookies. Yum. ohh mann i was doing the 'not eating cakes or biscuits thing' and seeing those has made me fall off the wagon. i'm going to get a biscuit. or five. you are the spitting image of Lily Allen! I love that video. The little girl is so precious the way she asks, "Someday I'll whistle too?"